Canadian-made military equipment initially sold to Saudi Arabia has been used in Yemen, where thousands of civilians -- many of them children -- have died. Canadian-made arms have also been used to violate the human rights of Saudi dissidents. Canada may even be at risk of complicity in Saudi violations of international law. Canadians have high expectations for the new Liberal government, especially when it comes to human rights and foreign policy. After a decade of regressive policies from the Conservatives, many expected the Liberals to take a new, ethical approach to foreign affairs. The reality, however, is more than disappointing. The Liberals have shown that when it comes to human rights and the arms trade, they prefer to look the other way. Canadian weapons exports nearly doubled over the last ten years, with Saudi Arabia becoming the world's second-largest buyer of Canadian-made military equipment, after the United States. And Canada is now the second-largest arms dealer in the Middle East . Over the past months we have learned a number of alarming details about Canada's arms exports to Saudi Arabia -- exports given the green light by Minister of Foreign Affairs Stéphane Dion -- and other countries with bad human rights records. Canadians deserve to know who Canada does business with and under what conditions. Saudi Arabia is not the only questionable recipient of Canadian military goods. China and Algeria, both countries with bad human rights records, are also within the top ten recipients of Canadian arms exports . The Liberals are refusing to answer questions about whether or not they have approved an arms export licence to Thailand, ruled by a military junta. And Canadian-owned Streit Group has sold arms to Sudan and Libya in violation of economic sanctions and arms embargos have earned criticism from the UN. For months the Liberal government has justified the scandalous $15 billion deal with Saudi Arabia by saying "Canada has some of the strongest export controls in the world." At the same time, the Canadian government has quietly rewritten its arms export policy to make it easier to export military hardware to states that abuse human rights. The new export guidelines significantly reduce transparency under the guise of protecting commercial interests. This means Canadians will have even less access to information on arms exports than before -- and it means exports to human rights-abusing countries will continue to flow. Canadians deserve to know who Canada does business with and under what conditions. We deserve to know what companies are manufacturing weapons, who is buying them, and what they are used for. And Canadians deserve a say in whether Canada exports arms to human rights violators. That's why the NDP has brought the issue of oversight of Canadian arms exports to a vote in Parliament as an opposition day motion. We want to create a permanent, multi-partisan committee, empowered to examine all aspects of Canada's arms exports regime, now and in the future. My proposal for better oversight of arms exports isn't new; the UK has a cross-party Parliamentary committee that is currently undertaking a full-scale inquiry into British arms sales to Saudi Arabia for use in Yemen. Importantly, they are also examining arms sales to other Gulf countries -- something that we should be doing too, given concerns about Canadian military equipment used in human rights violations in other parts of the region, including in Bahrain. 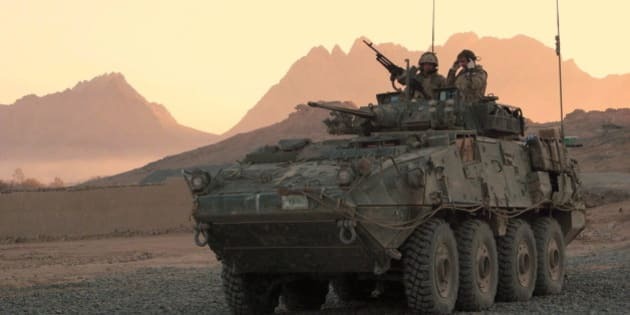 The Liberals should suspend existing export permits for the Light Armoured Vehicle deal to Saudi Arabia until allegations of misuse are investigated, as the Arms Trade Treaty would require. They should refuse to sign any further export permits for arms to Saudi Arabia. They should release all applicable human rights assessments. They should investigate the Streit Group. But more than this, the Liberals should agree to my proposal to create a committee that would provide Parliamentary oversight for arms exports -- a committee that would have full access to the details of these deals. Human rights are not optional. Canadians have a right to know what our government is doing in our name. Until the government understands that this matter is of utmost importance and deserves to be debated in public, we can no longer support the status quo. Canada should not sell arms where they can be used to abuse human rights. It's time for Canada to be a real global leader in human rights. It's time to toughen up our arms export policy.